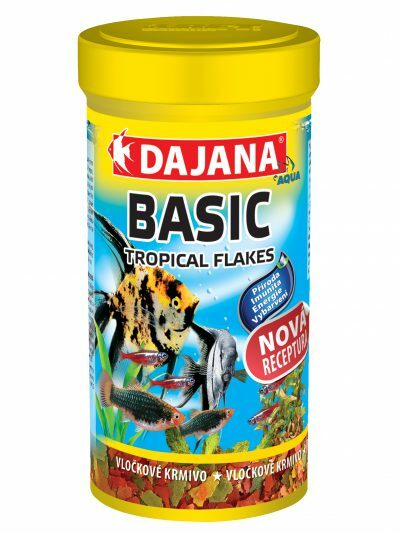 BASIC Tropical flakes | DAJANA PET, s.r.o. Complete feed for all kinds of tropical aquarium fish. I feed naturally! 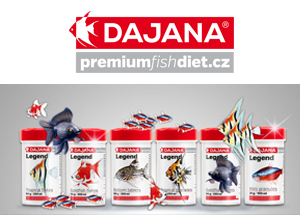 A new generation of feeds that are composed of first-class proteins from insects, marine animals and zooplankton complemented by a set of slowly grown sea and freshwater algaes that are rich in minerals and other substances that contribute to healthy functioning of fish organs. 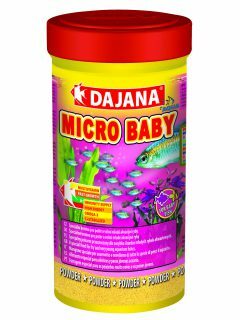 Together with other ingredients, the new generation balanced mixture ensures organism regeneration, boosts immunity and contributes to beautiful coloring of the fish. 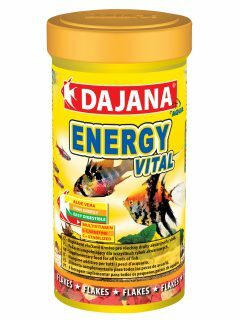 Complex carbohydrates contained in the plant based ingredients of the feed provide the organism with plenty of needed energy that is released gradually between the individual feedings. 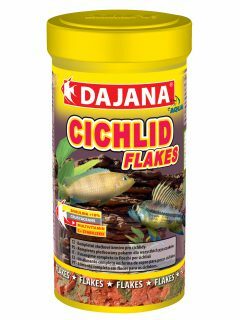 Due to the high percentage of digestibility of protein the feed significantly lowers the biological load in an aquarium. 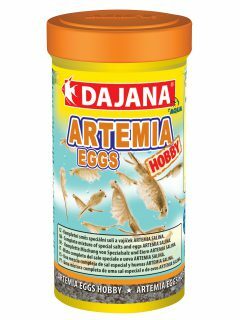 Fish meal, cereals, brewer´s yeast, crustaceans (krill and shrimps), legumes, seaweed and freshwater algaes (spirulina, nori, kelp), insect protein, salmon oil, maize, carob, minerals, garlic, paprika.